I love this little guy! He now sits in my garden and my brother loves him! It's so surprising how six plain grey pebbles from the patio can be transformed into this bright little creature! 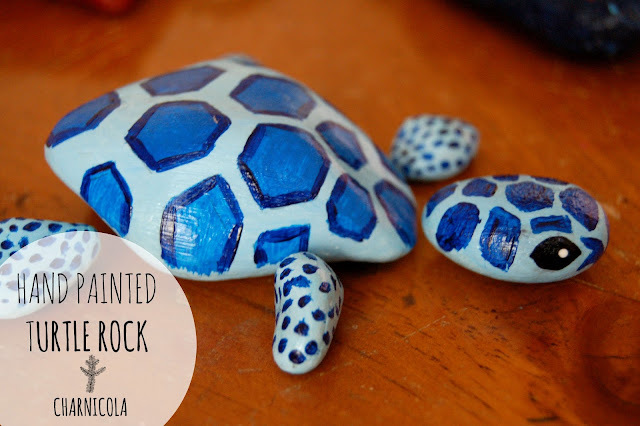 Use light blue acrylic on all the rocks. As the rocks were dark, I had to use several coats, so you may need to do the same. Next draw and paint on the patterns, and then seal with Mod Podge!! Voila!